If you follow me on twitter, you may have noticed that my pictures of my CGM graphs look a little different lately. 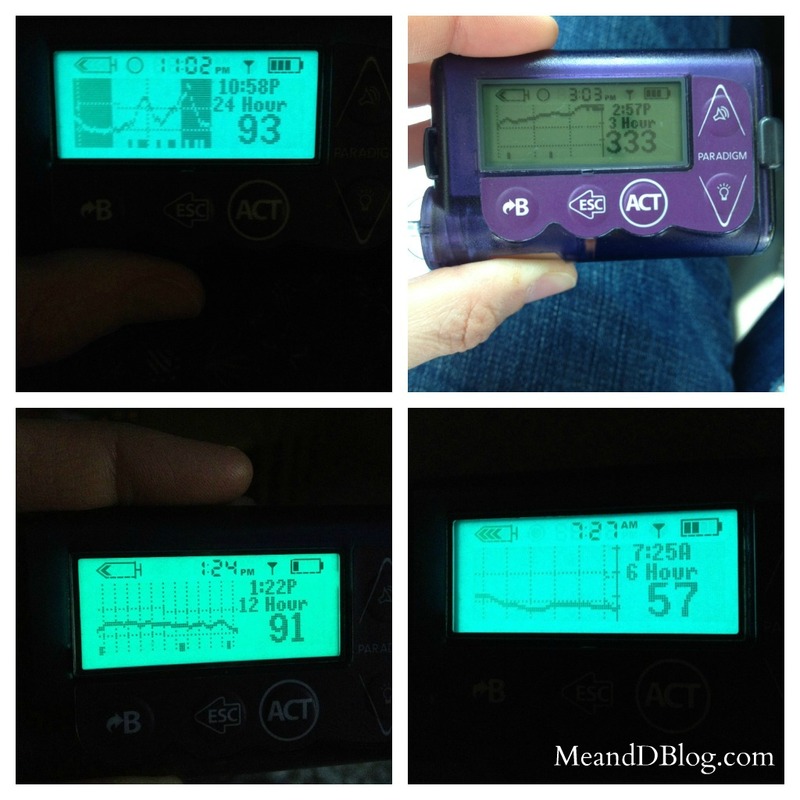 I've been using Medtronic's Continuous Glucose Monitoring for about a year and a half. And it's been a godsend. I still have diabetes and days that don't go so well, but having a CGM has transformed the way I care for myself. But after all this time on the Medtronic system, I've recently switched to Dexcom. But it's not a switch I'm thrilled about making. And a switch that I hope is only temporary. Let me explain. The current Medtronic sensor, the Sof-sensor, hurts. Insertion hurts a whole hell of a lot. As my friend Martin says, that needle is an effing harpoon. And that's why I switched. Bottom line. I just couldn't do it anymore. I know this makes me sound like a whiny baby, but it's the truth. I just can't handle that giant needle anymore. The Dexcom hurts a lot less to insert. It's not painless by any means, but certainly way better. I did a trial for about 10 days of the Dexcom system before I decided to get it. 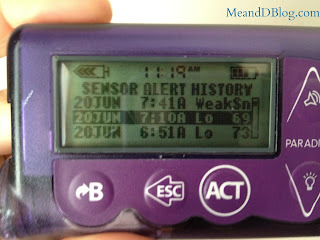 And for several of those days, I also wore the Medtronic sensor, which gave me some time to compare the two. There are definitely pros and cons to each system. So here we go. Access to calibration history. You can go in and see all calibrations going back several days. Includes both the time of calibration and the bg number entered. Ability to scroll back and see previous CGM readings up to 24 hours ago. Has predictive alerts. Meaning that I can set the pump to alert me when it predicts I'll go low or high within a certain amount of time. For example, I can set it to alert me 15 minutes before the CGM thinks I'll be low. Can set varying high and low thresholds. My high threshold was set at 180 during the day, and 200 overnight. Access to sensor alert history allows you to see all previous alarms and alerts. The alarm snooze settings are easy to customize. My low alarm snooze was 20 minutes, and my high alarm was set at the max, three hours. You can cycle thru all graphs with up arrow over and over. It goes from 3 to 6 to 12 to 24 and back to 3 again, all using the up arrow. You don't have to scroll back down again. Sensor/transmitter combo is lower profile. I don't catch it on stuff like I do the Dexcom sensor/transmitter. 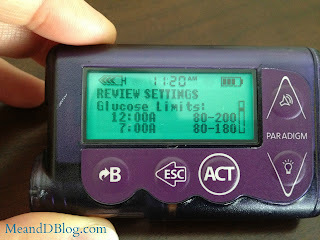 CGM settings are overall more customizable. Three day sensor (though I always wore it six. Shhh!). Complicated insertion. Can be challenging to hit the correct angle, tends to bleed a lot, and did I mention it HURTS??!!? Only supposed to calibrate when blood sugar is stable, otherwise it throws things off. Have to wait for sensor to "wet" after insertion before connecting transmitter. This can take anywhere from 15 minutes to a couple hours. Insertion not very painful and significantly easier. No wetting time for sensor. You can immediately hook up the transmitter. Seven day sensor. I've made it to almost two weeks (again, not medial advice. Sensor is only FDA approved for seven days). Dexcom automatically pulls the number off the graph when you calibrate, so you start from there. Medtronic starts at 90 every time. Sensor and transmitter adhesive is much more secure without additional tape. 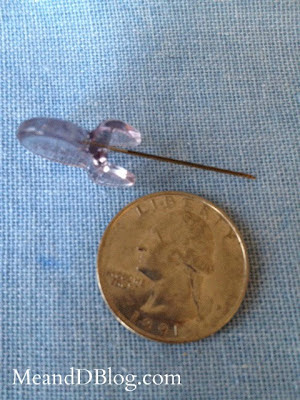 The Medtronic sensor flops around unless you tape it down. Easy to see CGM graph when you have your pump in your bra. I don't have to reach down my dress as often. Keeps up better when blood sugar is either skyrocketing or plummeting very quickly. Having to carry around the receiver is ANNOYING! I'm gonna lose that thing, I just know it. Hovering around the high or low threshold? The Dexcom is going to alarm EVERY SINGLE TIME you cross the line, instead of alarming once and then not again until the snooze is over. Medtronic won't repeat the alarm until the snooze period ends. So no matter how many times I go over/under 180, that high alarm will only go off once every three hours. Much less annoying. You have no access to data on the device itself. Now, I've not downloaded data and looked at anything on the computer, but I miss having all that info at my fingertips. 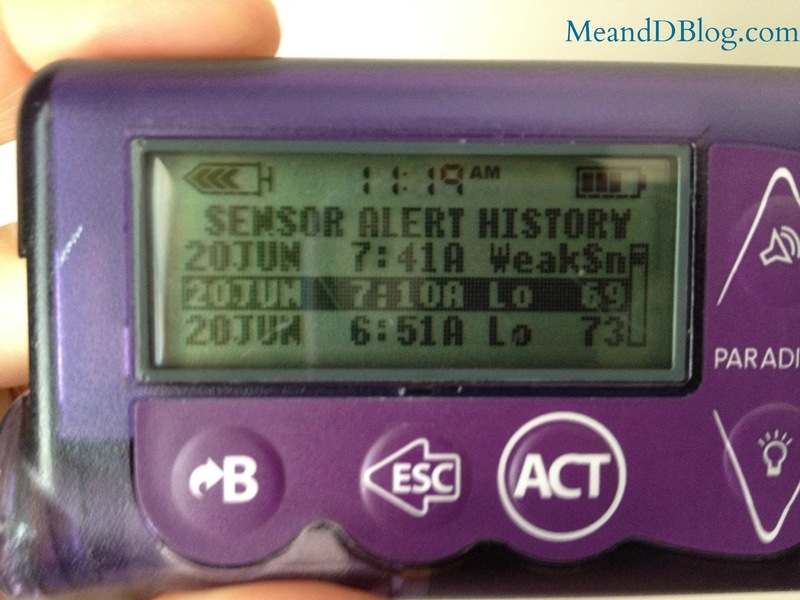 Previous CGM readings, calibration and alert history, when the next calibration is due, and the age of the sensor. The Dexcom receiver doesn't give me any of this information. When you restart the sensor, you have to wait the initial two hours again for any data. 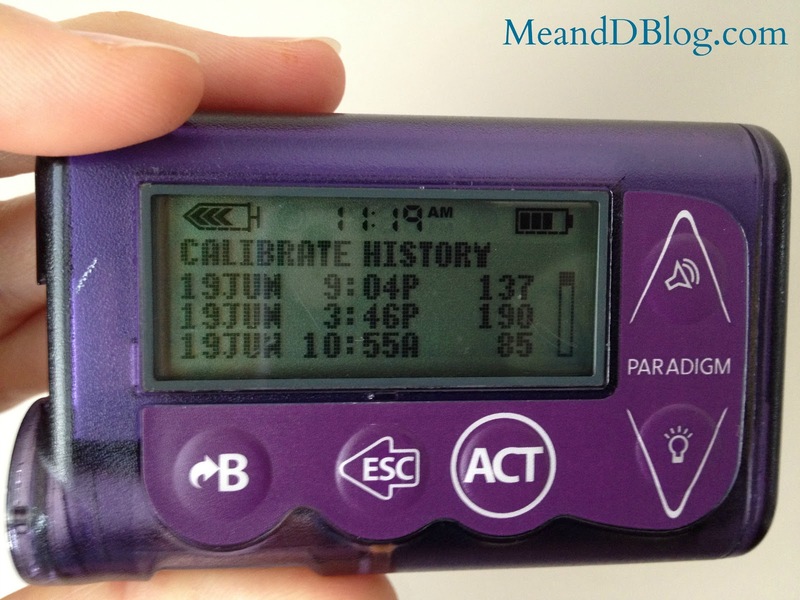 With Medtronic CGM, there's data immediately after you restart. Clearly, there are advantages and disadvantages to both systems. One thing that isn't really different is the overall accuracy. I don't find the Dexcom to be more accurate than the Medtronic. Usually it does keep up with wild swings a bit better, but not always. So for now, I'm using the Dexcom. And trying not to leave the receiver anywhere. But like I said, I'm hoping this is just a temporary switch. Because this isn't what I really want. The Enlite is what I'm waiting for. And unless it doesn't deliver as promised, I plan on switching back to Medtronic as soon as it's FDA approved and available in the US. Hopefully my MiniLink transmitter will last a while longer so I won't have to pay for a new one. 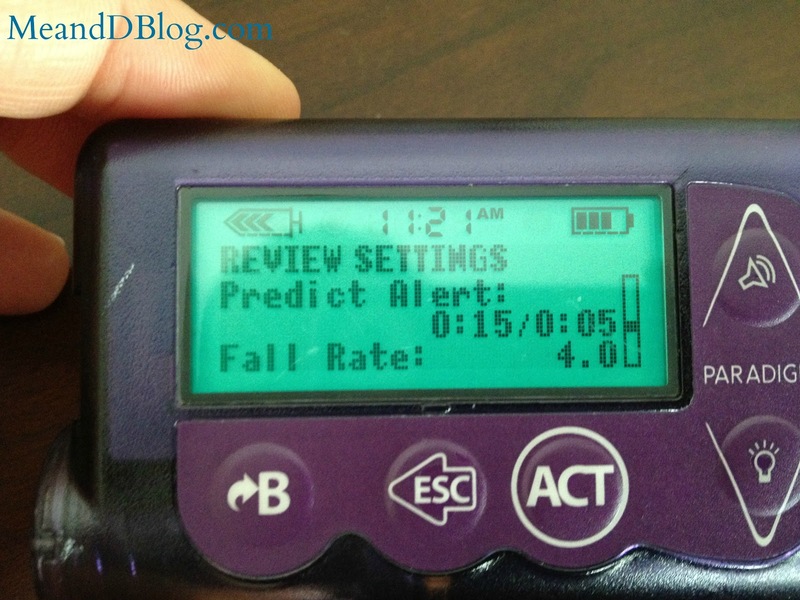 Overall, in my opinion, the Medtronic system is superior to the Dexcom system. Now I know that Dexcom has their next generation sensor and receiver in the FDA channels right now too. And I don't know much about either. 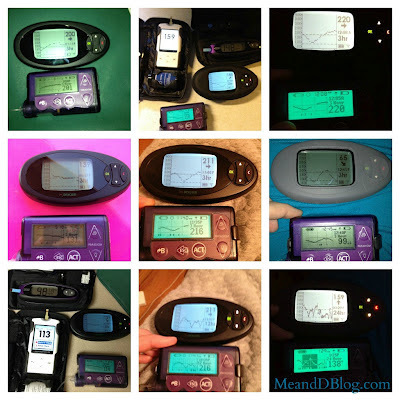 I am a firm believer that people use whatever diabetes technology works best for them. Just because I like the Medtronic system better doesn't mean I think that everyone needs to use it. Use whatever works best for you. Your diabetes (and diabetes technology) may vary. But what I want is to go back to my integrated Medtronic system, with the Enlite sensor. So dear FDA, please hurry. Thanks. Please remember that I am not a doctor, and everything here are my own thoughts and opinions, and are not intended as medical advice. Thanks! I switched to Dexcom because of the harpoon, too. I bled so much each and every time that it would cause sensor error! I love my Dex and plan on sticking to it, but you are absolutely right on all the cons of it - the alarms drive me bonkers, I miss being able to scroll through the graphs, and carrying around one more thing is the pits. But I traded all of that for non-harpoons and better function (because the sensor wasn't drenched in blood). May the Enlite travel swiftly through the FDA for you! I switched to the Dexcom because the MM insertion was so painful! I do not wear it at all now.My bs are really stable so no more CGM unless sometime changes. Good Luck to you! I decided not to take advantage of the trial of the mySentry because I realized the 2-3 nights a month that I wish I heard my alarms were not a good trade off for that needle size. RIght there with you on the pain issue. In my case, though, Dexcom was significantly more accurate, which made it a much more clear-cut answer. Full disclosure, having Dexcom for about 8mo now, every con you listed is still a con. I'm with you on the cons for the Dexcom, but I still enjoy wearing it. Well, enjoy might be a stretch there, but you know what I mean. The alarms drive me batty. While I don't have a MedTronic, that Enlite sure looks enticing! I just stuck one of those MM needles in my arm a few hours ago and, yes, today it's seems a bit painful when I move around (note to others: the steeper the angle, the less it hurts, contrary to intuition. Of course, that assumes you have fat and not muscle or vital organs where you've inserted it). There are a couple of other pros and cons I would add (simply by research, I've never used Dex). The Medtronic has a 40-minute or so memory, so if it loses communication with the pump/receiver, it will fill in the gaps once it reconnects (con: it loses connection rather easily). The Dexcom has a nice, big easy-to-see display with actual BG numbers on the left side, while the Medtronic just has a horizontal line at the low- and high-point settings (con: the Dex is big). Personally, I really like to see the little tick-mark that the Medtronic puts at the bottom at each bolus as it helps to explain the trend. Of course, if you can't wear the thing comfortably, then nothing else really matters - it simply doesn't work for you. I just hope that when the Enlite DOES come out in the US, that it will be compatible with the Revel. Last I heard, one of the big obstacles is that the Revel is built to "force" a new sensor every three days, and the FDA won't permit Med-T to tell users that they should circumvent that "feature". Compatibility with the current generation of pumps could be a real issue, and it wouldn't surprise me if Medtronic markets the Enlite/Veo as a whole new sensor-with-low-glucose-suspend package. Q for everyone who hates hovering around the thresholds: why don't you just adjust the alarm? My high alarm is set for 200, low for 80. Whenever my blood sugar is hanging out around there and the alarm goes off repeatedly, I just reset the alarm to go off at, say, 70 or 220. Bingo! No more freaking out, and I can fix it with a few button pushes later. I do this overnight too. Maybe I run the risk of higher BGs overnight, but DAMN does it mean I sleep better. Did you post a pic of the needle used for the Dex? I don't mind the needle on the Medtronic because i have plenty of fatty areas for it. But my friend is having trouble as he's so skinny, the needle hurts him. Also, from a durable medical equip standpoint, did insurance cover this switch for you or did it come at the end of your 4/5 year term? You actually can't see the insertion needle for the Dexcom. It's hidden in the insertion device, and you can't really see it. And my insurance doesn't do DME. All my supplies are billed the same way as any other medical expense, which is nice. Hope this helps! Thanks for giving the pros & cons. I always wonder if I made the right decision. A lot of people had told me the Medtronic CGM needle hurt really bad so I did choose the Dexcom for my 3yr old daughter. Some see the separate Dexcom receiver as a con but for a parent of a toddler I love it when I'm driving I can have the receiver in the front seat with me. On long trips I especially love it because if it beeps I can just look down at it real quick I don't have to pull over on the freeway to go look at her pump. Excellent post. I am with you about the harpoon needle. While the pain didn't bother me, I did grow concerned that I was developing some serious scar tissue as a result of those harpoon needles. Pumping for me is a necessity, but I can maintain decent control without the CGM. So, I stopped using the CGM for now, but may look back into it when the new Enlite comes out. I did try a Dexcom and it was ok, but carrying around the extra receiver was a PAIN (my purses can only be so big) and the results weren't good enough to justify the cost. For some reason, I also seem to do better without a CGM because it keeps me more rigid having to do finger sticks. In the end, D management is about whatever works for you! timely post is timely! i just sent this to a mom of a recently dx'd kid who is having their pump intro class next week. she still hasn't decided between mm v. animas and mm cgm vs. dex (though i told her i think dex is no longer approved for under 18, which is what my doc told me). so thanks for the detailed info!! Awesome post. yoy took the words right out of my mouth. I switched to he Dex from MM in January for the exactt reason.....harpoon and 3. bleeding sensors in a row that failed. Sheer frustration. Can't wait for tje Enlite for sure. Hope its compatible with the current MM transmitter and Revel.